But that is not the case! Clouds, no matter how thick or black, cannot completely stop the harmful UV rays from penetrating to reach the earth surface! 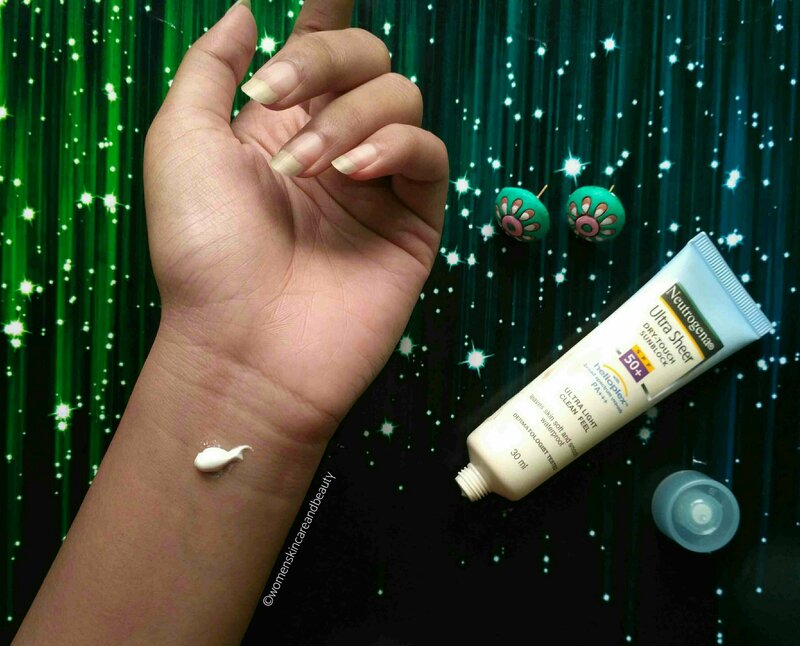 A good waterproof Sunscreen is a must during monsoons! DESCRIPTION: Ultra light Clean feel. Leaves skin soft and smooth. Waterproof. Dermatologically tested. Neutrogena ultra sheer dry touch sunblock SPF 50, PA+++ with Helioplex is a breakthrough in sun protection. Stabilized with Helioplex, it provides superior balanced broad spectrum protection against skin ageing UVA and burning UVB rays, and combines it with dry touch technology for an ultra light, non shiny finish. This lightweight sunblock has a light fresh scent and is gentle enough for even sensitive skin. * Waterproof, sweatproof, resists rub off. * Oil free and PABA free. DIRECTIONS: Apply liberally on face and body 15-30 minutes before sun exposure. For added protection, reapply after swimming, towel drying or extended sun exposure. WARNING: Not to be swallowed. Avoid contact with eyes. Discontinue uses if signs or irritation or rash appear. COST: 30ml for INR 199; 88ml for INR 549. I have never got tanned with this sunblock on, even if I spent hours under the sun! 3. Gives great protection from suntan and sun burn! 4. Waterproof, sweatproof, resists wiping off. 1. No ingredients list is mentioned. 2. It isn’t DRY-TOUCH as claimed and leaves a film behind. 3. A few false claims like softening and smoothening of skin and being oil free! i hate that film that sun blocks build, makes it really irritating to wear it anywhere. Yes.. 🙁 i hate it too! It is just this Sunscreen that I like out of all the Neutrogena Products.. others don’t suit me well! I heard a lot about neutrogena products. But haven’t tried any. This one seems very effective one. Want to give it a try. Like your review. 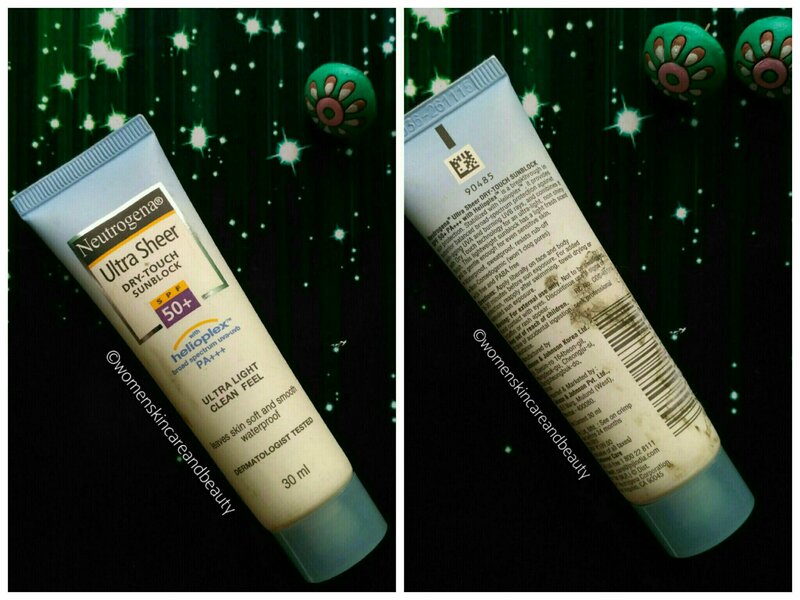 Do try it.. it is definitely a good waterproof Sunscreen for oily skin! I have used this one and am happy with the results. Good review. Wow, I wanted an effective sunblock, shall try it for sure. Thanks for an honest review. I like sunscreens that are light on the skin. I was a regular user of this sunscreen a few years back. It used to work great for me but yes, dry touch claim is exaggerated. Thanks for your honest review. 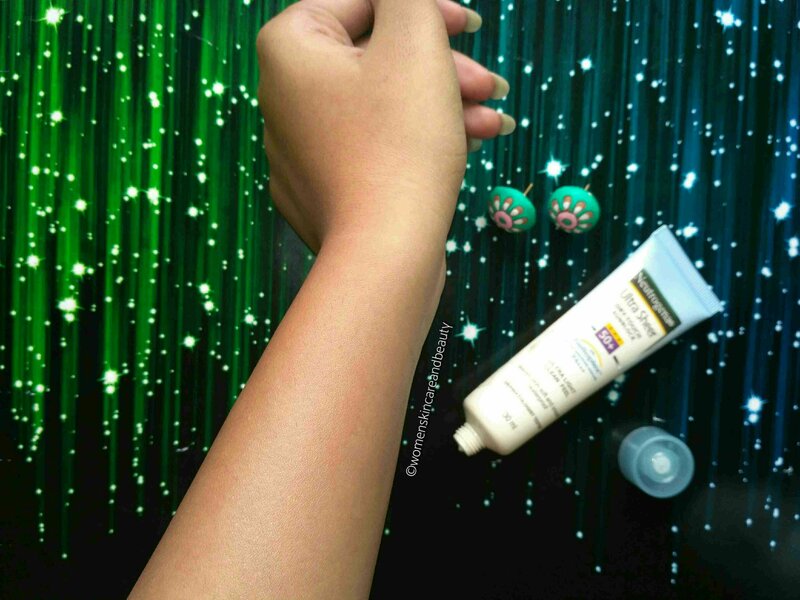 Though it is greesy but waterproof and sweatproof sunscreens with higher spf are a much needed thing for monsoon and for longer duration in outdoors. So, it will be my next target. I like this one very much. Used to use it at Past. Effective and affordable. The high spf and water-resistant power makes it one of the best in india! I guess there comes a filmy layer on the face to protect it from being washed away with sweat or water..
that looks like a promising product, but even the lightest sunblocks feel very heavy to me. I have a very oily skin.. evry thing on face feels heavy to Me too! This Sunblock sounds amazing I would love to give it a try. Hope this is good for Dry Skin. Neutrogena seems to be a very good and esteemed brand. Actually we ignore our skin during monsoon when going out as the sun is not so prominent but we definitely need to take care. Very informative posts Mrinal. Your blog looks really good. Lovely colors and the theme.